Finally WordPress 4.0 is around the corder and here is what’s underneath. If you are looking for ground breaking features then yes definitely you will be disappointed. Features mainly updates core WordPress functionality. 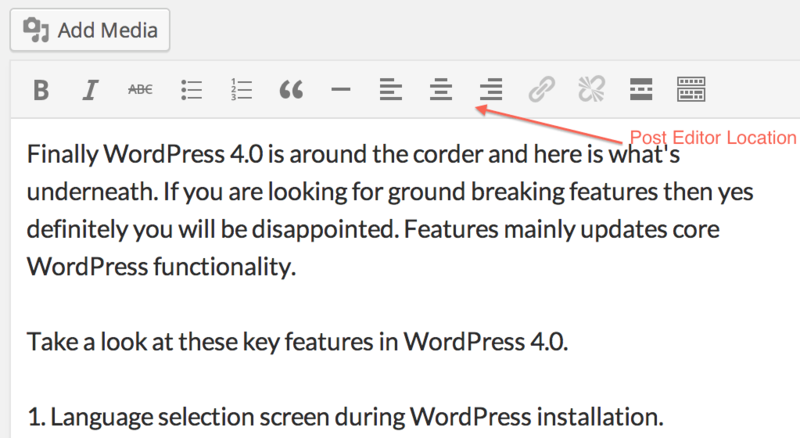 Take a look at these key Features and Screenshots in WordPress 4.0. 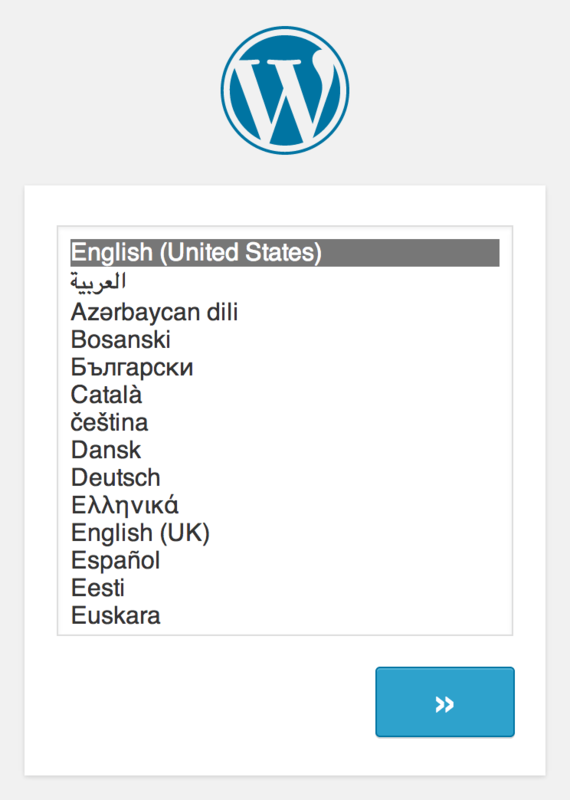 Language selection screen during WordPress installation. New Sticky Post Editor. This one is my favorite. Live Video Preview. Previews of embedding via URLs in the visual editor. 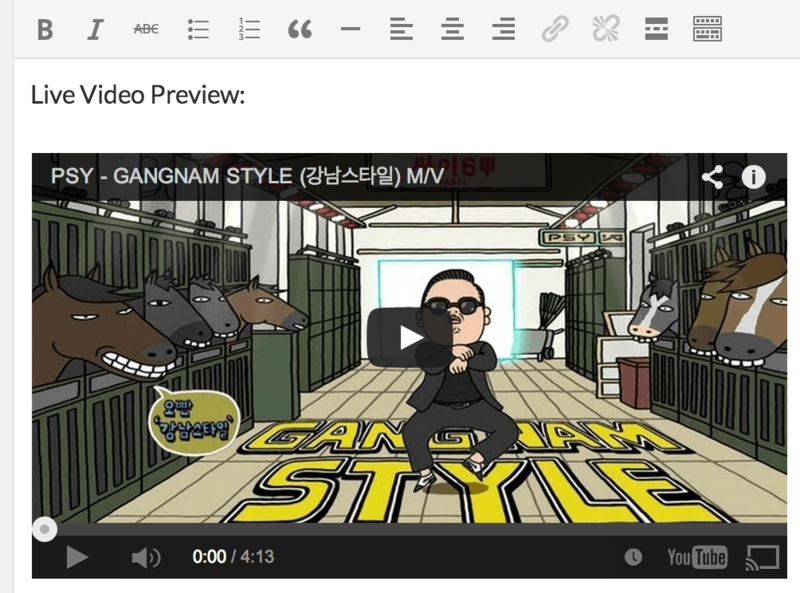 It’s very for author’s to see actual width and height of the video right inside the post editor. 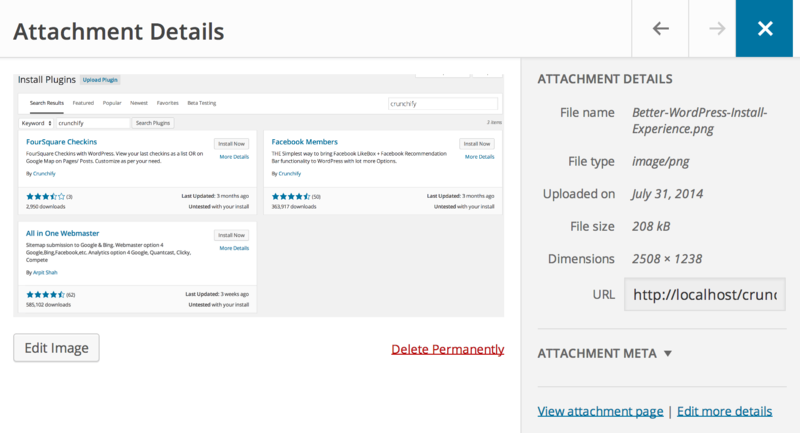 Better WordPress Plugin Install Experience. Grid View Option in Media Library. Next Previous Arrow button during Edit media file. Very convenient. Not sure about new theme but definitely I personally really exited about new theme release. 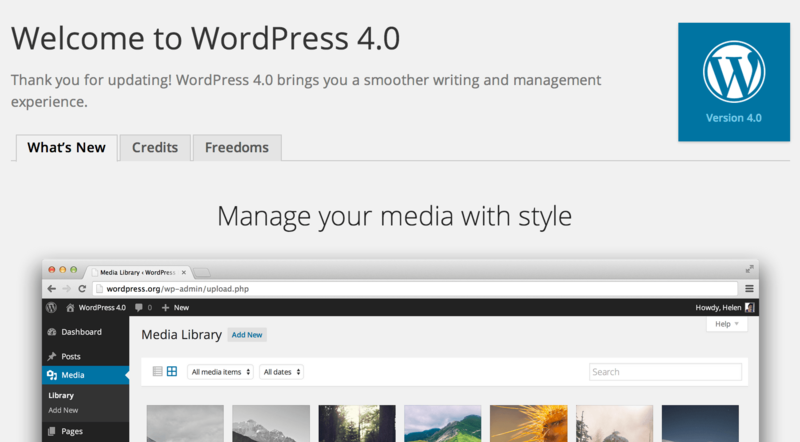 Let me know your thoughts on WordPress 4.0. I love wordpress, however, to call this 4.0 is a bid much, the updates are rater minimal, so maybe 3.9001 or something like that would reflect better current updates in my opinion. Thanks Martin for comment. I partially agree with you. Some how I like the faster software development lifecycle. Small but significant under the hood improvement is the goal.